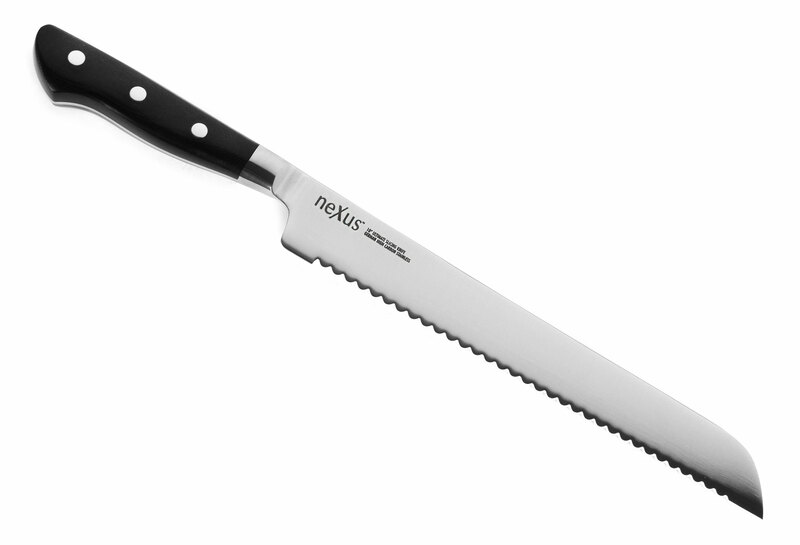 This Nexus Ultimate Slicing Knife is designed for melons, squash and also good for slicing cooked meats, such as ham and roasts, since the serrations are smooth. The Nexus series of knives has been developed for discerning chefs that need high performance tools that welcome the rigors of a professional kitchen. All Nexus products come with a lifetime warranty against ANY defects. Your experience with our products is of the utmost importance and if for any reason you are not satisfied, we are here to assist with a free return for a refund or replacement. We are serious when we say that your satisfaction is guaranteed. All Nexus products are handcrafted in our state of the art facility in Yangjiang, China, a city renowned for knife crafting. 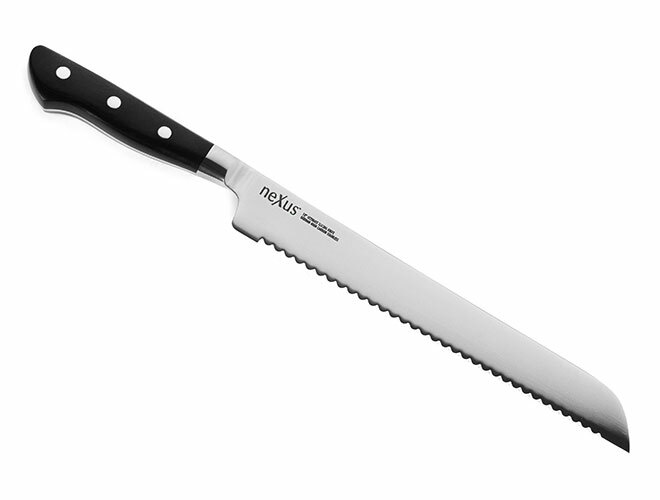 https://www.cutleryandmore.com/nexus/ultimate-slicing-knife-p137658 37658 Nexus 10" High Carbon Stainless Steel Ultimate Slicing Knife https://cdn.cutleryandmore.com/products/large/37658.jpg 39.9900 USD InStock /Cutlery/Carving & Slicing Knives This Nexus Ultimate Slicing Knife is designed for melons, squash and also good for slicing cooked meats, such as ham and roasts, since the serrations are smooth.